Last weekend was a big weekend for beauty in Toronto. The Glossier pop up was in town, the Estee Lauder sale was on, and all around the world women were getting excited for the launch of Fenty Beauty. My own social media was abuzz all of Friday with Fenty swatches and when I passed by Sephora while I was at the mall it was just jam packed with people. While watching influencers review the entire line was great, what got me more excited were the reviews by real women. I’ve had my fair share of shade matching troubles, mostly back in the Philippines. In a country that’s obsessed with whitening products and being mestiza, morenas (darker skinned women) really got the short end of the stick. I only wore tinted face powder back then, but even that was a struggle in itself and I usually left empty handed. My beautiful friend Anishah told me a story about how our local MAC counter didn’t carry her foundation shade because apparently her colour was not ‘popular’ enough. If that was the case with the shade selection from MAC, imagine how lacking our local brands were. Case in point, here is the shade range for a local cosmetic brand’s line of foundation. This photo was taken in 2015. As someone who’s been there and done that, I fully agree with that statement. I don’t want to be lighter, I just want to find makeup that I wear. Thankfully, I haven’t encountered that problem since moving to Toronto. While I do still have to mix foundation shades every so often, it’s mostly because I’m in between shades from being too pale or too tan from the previous season. So imagine my surprise when I realized so many women were still having such a difficult time finding makeup to suit their skin tone in the most diverse city in the world. This is where Fenty Beauty enters the game and completely changes it. In one of the makeup groups I’m a part of, I watched as woman after woman excitedly proclaimed they had finally found their foundation shade without mixing or a highlighter that made them glow rather than make them look ashy. 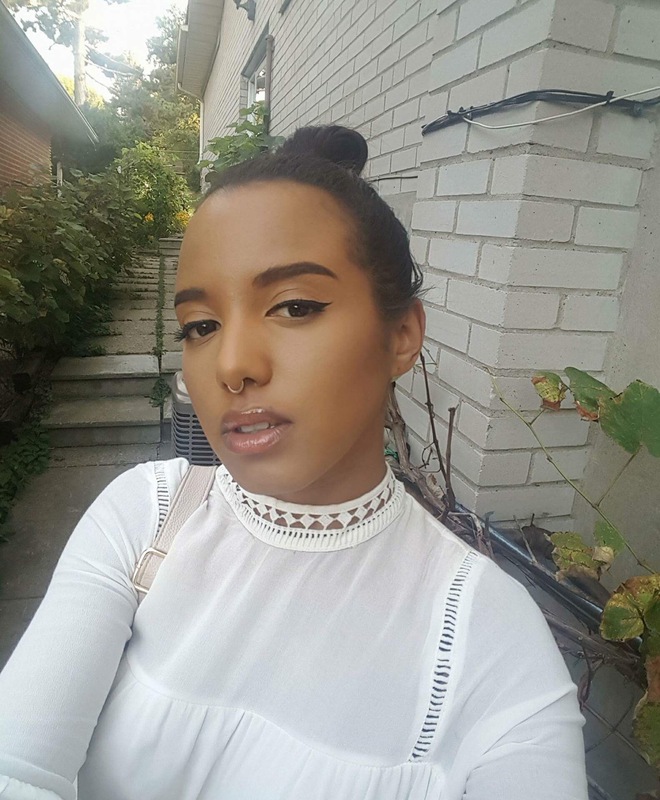 I asked a few lovely women to share their Fenty selfies and tell us why they love it so much. To prove inclusivity of the brand, they’ve graciously included their background. While I personally haven’t partaken in the Fenty Beauty mania (my budget has been temporarily taken hostage by the Estee Lauder sale last week and the L’Oreal sale next week), I’ve definitely got my eye on the Killawatt in Mean Money/ Hu$tla Baby. Have you bought anything from the Fenty line? What would you recommend? Let me know!